The town has a long tradition as a beach resort going right back to the late C18th. The mix that has made it so popular, including all sorts of attractions which welcome group visits, are still going strong today. Happily, the resort’s coast has some of the driest weather in the country, as well as some of the finest beaches. Wide, sandy beaches, rarely affected by high tide or low tide, are a real bonus. 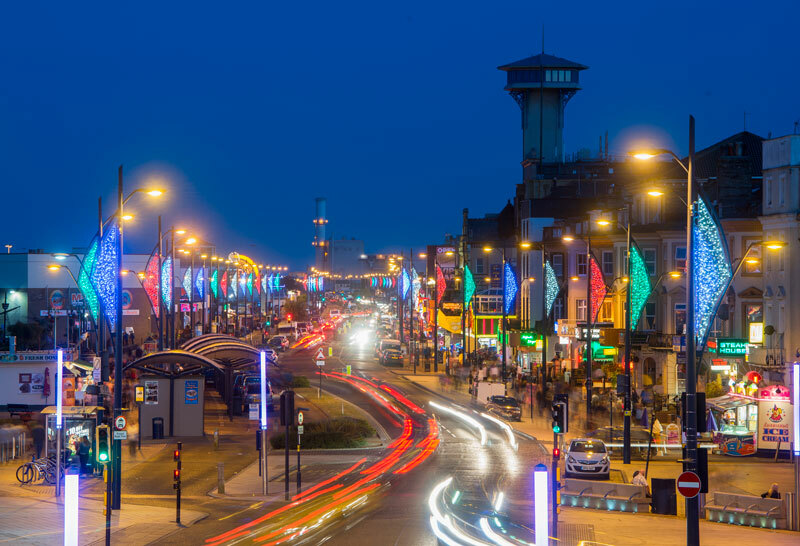 Marine Parade is the main seafront area. 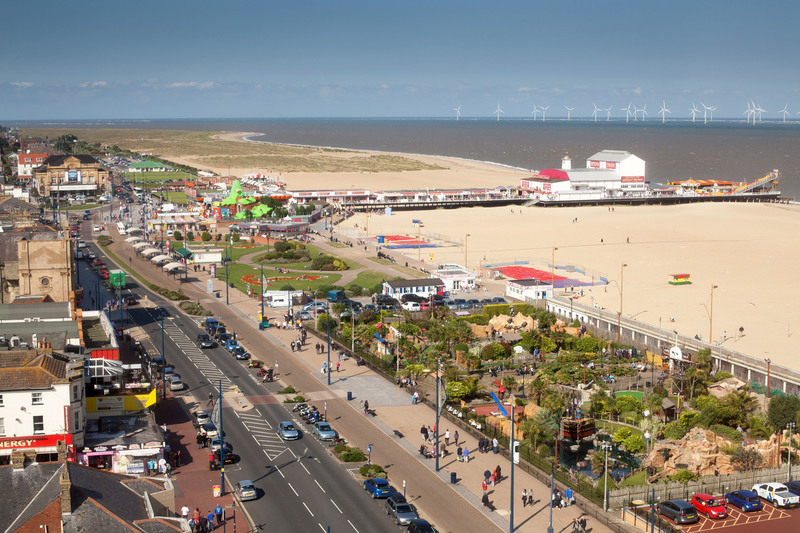 It looks out over golden sands and has two piers, classic seaside tearooms, pubs and restaurants, and attractive gardens and. It’s perfect for group visits to enjoy whatever the weather. 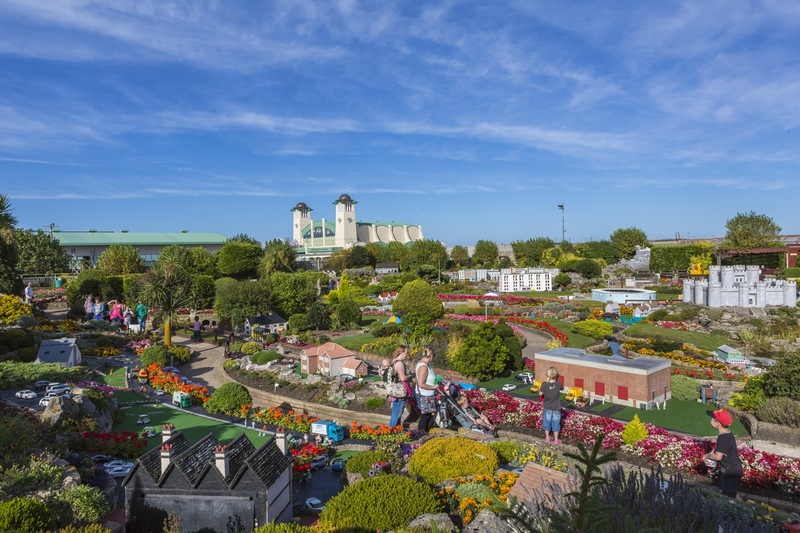 Firm favourites on the seafront include Merrivale Model Village with landscaped gardens. There’s an N gauge train, the Sea Life Centre, themed adventure golf courses and the Pleasure Beach. In the town centre, the Market Square has a lively permanent market; there’s also shops and a shopping mall. Just off historic South Quay there are several museums to discover. The award-winning Time and Tide Museum of Great Yarmouth life, focuses on different elements of Great Yarmouth’s fascinating maritime heritage. As well as museums, guided heritage walks or coach tours are another fascinating way to uncover more about the area. The guides cover the Rows, fishwives and red herrings, circus, clowns and catastrophe, roman revelations. The Rows are what is left of over a hundred rows of buildings that were here from the middle ages. World War II bombing destroyed most of them. Today, Broad Row and Market Row are full of little shops. Also there’s the medieval town wall, gory stories, the quayside and seaside. Visit the second most complete medieval town wall in the country, or the best preserved Roman ruins in East Anglia. The 23 foot high town wall took 80 years to complete between 1260 and 1340. And, in those days, there were no buildings between the wall and the sea. So, the merchants who were safe inside the town walls grew wealthy and powerful. A notable feature is the South East tower which has been a fish smoker, a pottery and a museum. Next PostHailsham, in the Wealden District of East Sussex, at the gateway to the South Downs National Park.